The need for capital stable investments, with a known rate of return within a well-balanced fund environment is not new. Whether it be to, manage the liquidity of a portfolio in order to fund investment in other asset classes, to park money temporarily whilst entry points into growth assets are sought (especially where markets are considered fully valued) or per an investment mandate, a percentage of a portfolio needs to be invested in the cash asset class, cash products have long been embraced by Australian investors. The appetite for cash products has continued to remain strong, with data from APRA showing that there is over $2.2 trillion invested in cash in Australia. There are three genuine contenders for investors to consider in this space: Exchange-Traded Funds (ETFs), cash or enhanced cash based managed funds and term deposits – each with their own nuances when assessed against metrics such as performance, fees, ease of access / administration and customisation. There’s the additional costs, ETFs still have ongoing expenses applied to them (typically 10bps – 20bps p.a.) as well as a bid / ask spread to consider, alongside the standard purchase / sale brokerage which further reduces returns. These funds are used by investors as a low risk way of placing cash investments. The investments made are generally in short term cash securities resulting in interest which usually reflect short term interest rates. These funds often generate a return based on a reference rate plus a margin, which in a down market can still be attractive. Cash funds are generally considered to be safe, and they provide easy access to liquidity however, the GFC experience and lessons learnt must be taken into account. Having funds pooled together in a group and managed by an investment manager does come with fees. Even small annual fees can eat up a substantial chunk of the profit. Depending on the fund, fees can vary in their negative impact on returns. Summary: Liquidity in a pooled investment comes at a price. In order to generate enhanced returns compared to standard cash funds (and potentially as an alternative to term deposits), some investors may prefer enhanced cash products. Similar to any cash fund, enhanced cash funds are exposed to credit risk, term risk and liquidity risk. These generally imply the risk of losing capital from the default by security issuers, the changes in interest rates that adversely affect the price of the securities and the inability to convert the securities into cash without any loss of capital. Some of the riskier enhanced cash offerings even have exposure to mortgage backed securities, so even the definition of what belongs in an enhanced cash fund appears well and truly open for interpretation. Similarly, to an EFT, and contributing to the lower returns that have historically characterised this investment class, investors need to be aware of fees eroding an already low return (typically in the 0.2% p.a. range, with a buy/sell spread of ~0.5%). Another key thing to remember is these aren’t tailored to each individual investor. You’re pooled together so your specific investments needs are lost in a group. The spread of rates can be quite significant. This month alone, term deposit fintech Cashwerkz, saw rates ranging from 2.00% - 2.65% for 3 months, 2.00% - 2.80% for 6 months and 2.15 – 2.90% for 12 months. This is a difference of up to 80bps which investors are missing out on by not switching between banks/term deposits at maturity. The development of technology by fintech firms over the past few years is something which managers / superannuation funds can embrace to help achieve greater returns without taking additional risk for their clients when investing in cash products. By leveraging this technology when implementing a strategy for cash and partnering with fintech companies, the asset owners will be able to have greater visibility of what cash products are available, so they can make an informed decision of where to invest. 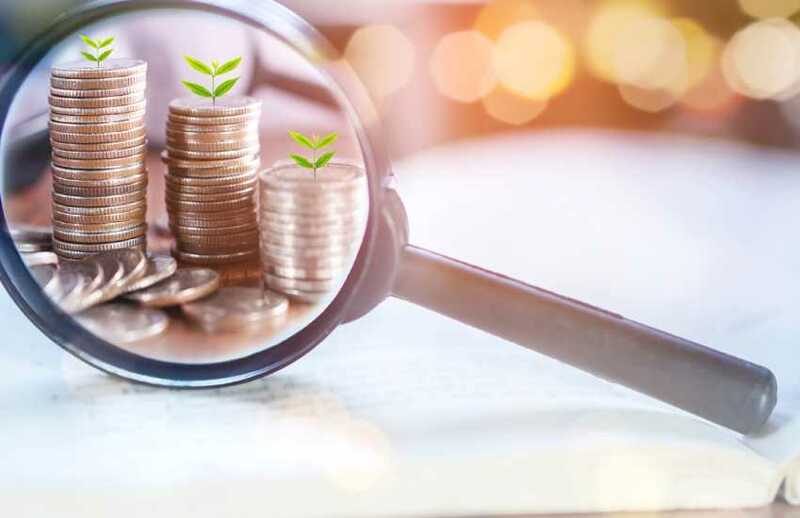 This visibility also results in placing funds in products to obtain the greatest return which are in the best interest of the underlying client and beneficiary. Cashwerkz, a leading-edge fintech company has developed a cash management platform for investment managers and custodians, to maximise earnings on cash allocations, whilst simplifying the administration time to invest, transact and manage cash investments. Cashwerkz overarching priority and focus is on making the investor user experience more efficient by providing a platform with the functionality to research and analyse rates, manage the KYC and AML requirements, manage maturities and run detailed reporting all in the one place. One of the significant benefits for investors is the ability to switch banks, at maturity, with the click of a button. Cashwerkz will never touch, direct or be in control of investor funds – funds are transferred directly from the clients nominated account directly to the bank and then at maturity is returned to the nominated account. There is no cost to the investor to place a cash investment on the platform. Cashwerkz facilitates the application process with the term deposit. With transparency as a high priority, the interest rates displayed on the platform is the rate the investor receives, with no hidden fees or charges.